3. 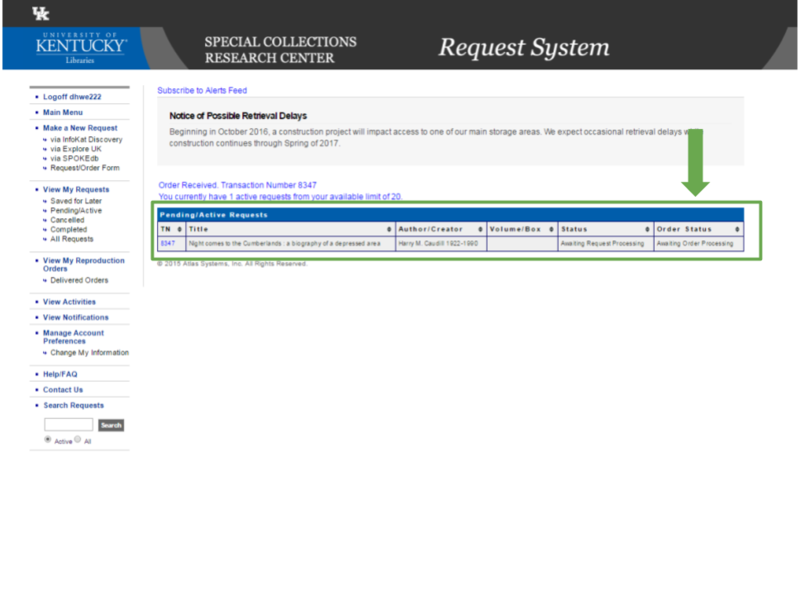 Open InfoKat Discovery in a new tab and search for your item. 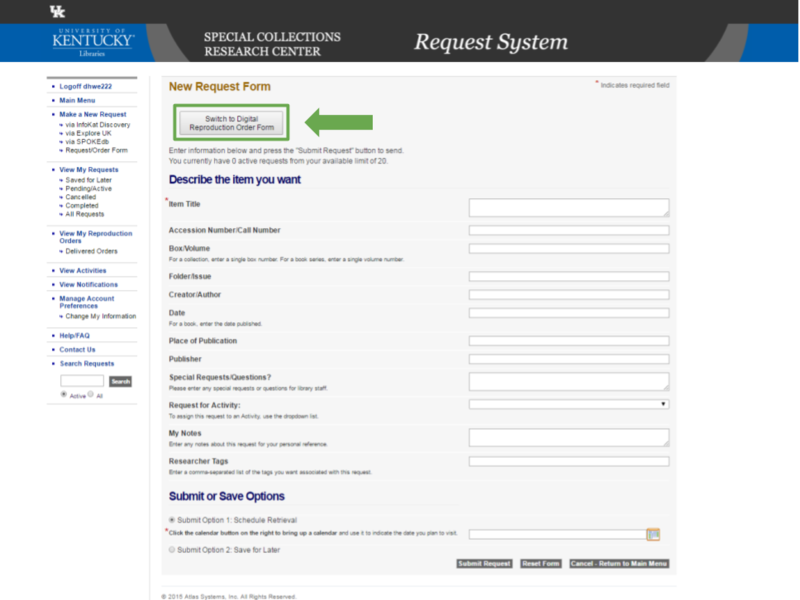 Once you have found your item, copy its details and enter your scanning information into the digital reproduction order form in your Researcher Account. 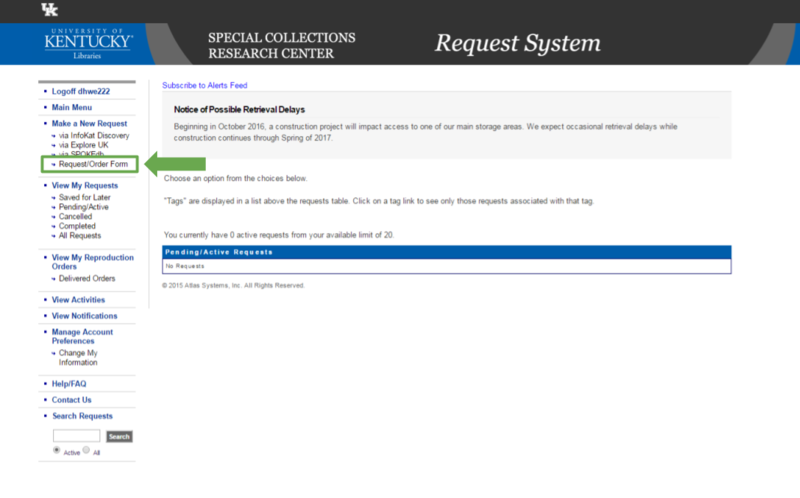 Click "Submit Request". 4. 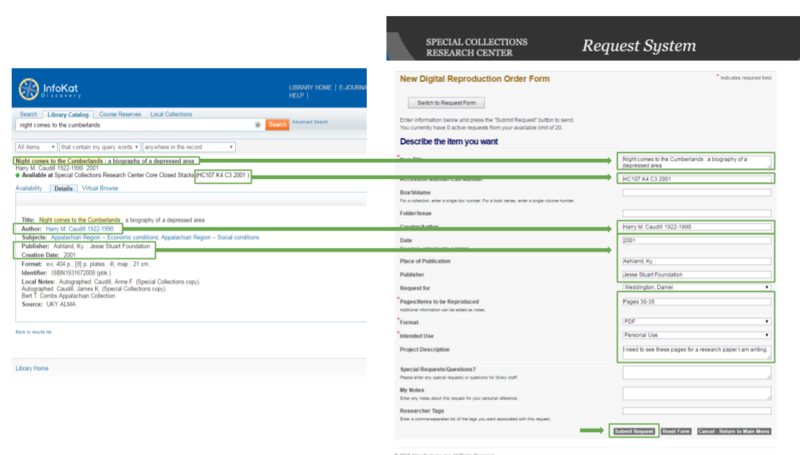 After your order is submitted, you will see a corresponding transaction on your Research Services Account main menu where you can monitor the processing status of your order.